Who doesn’t like a good mystery? Am I right? The Winchester Mystery House has been on my “bucket” list since I was a kid. When I was 12 we went cross-country in an RV and in California I tried to convince my parents to stop at the house. I don’t remember exactly what happened but needless to say, we did not go. So when I was planning my road trip, what do you think was the first thing on my list to plan? That’s right a stop at the Winchester Mystery House. Located off the I-280 in San Jose California, you feel as if you step back in time from the minute you park your car. Some of the surrounding buildings reminded me of old pictures from the 60’s that I used to look at through my uncle’s old viewfinder of historic California. 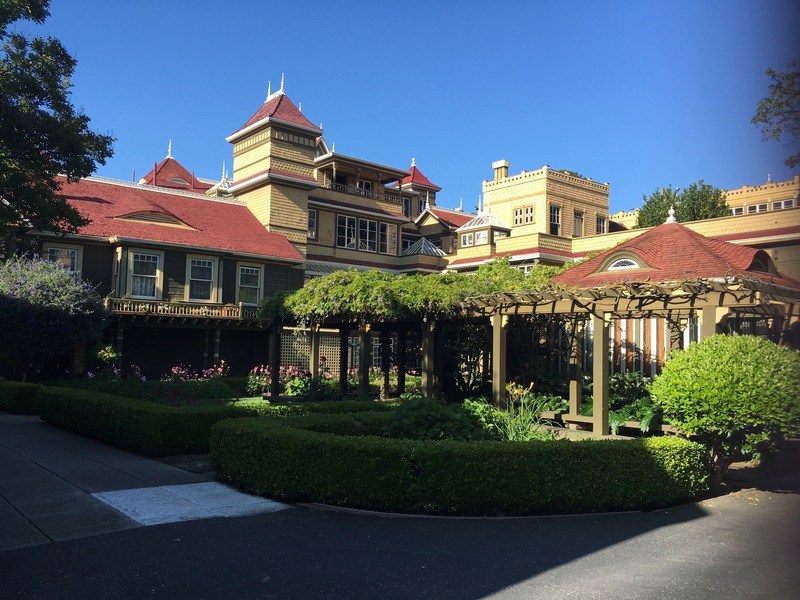 The original, unfinished farmhouse, the area at the time was all farmland, was purchased by Sarah Winchester in 1884, as a reaction to a reading she received from a medium in Boston. You see Mrs. Winchester thought that she was being haunted. The medium said that in order to appease all the spirits who have been killed by the Winchester firearms she would have to build a great house for the spirits. This construction could never cease otherwise Mrs. Winchester might meet a tragic end. Mrs. Winchester was heir to the Winchester Repeating Arms Company and therefore the responsibility to assuage the spirits went to her. So Sarah Winchester hired a crew and they worked around the clock, 7 days a week for 38 years until her death in 1922 at the age of 82. Now that you have a bit of the history now on to the fun. As you approach the front gate and purchase your tickets, ($36 for adults, $26 for children but check Groupon because I found a half off ticket there), you are assigned a tour time. 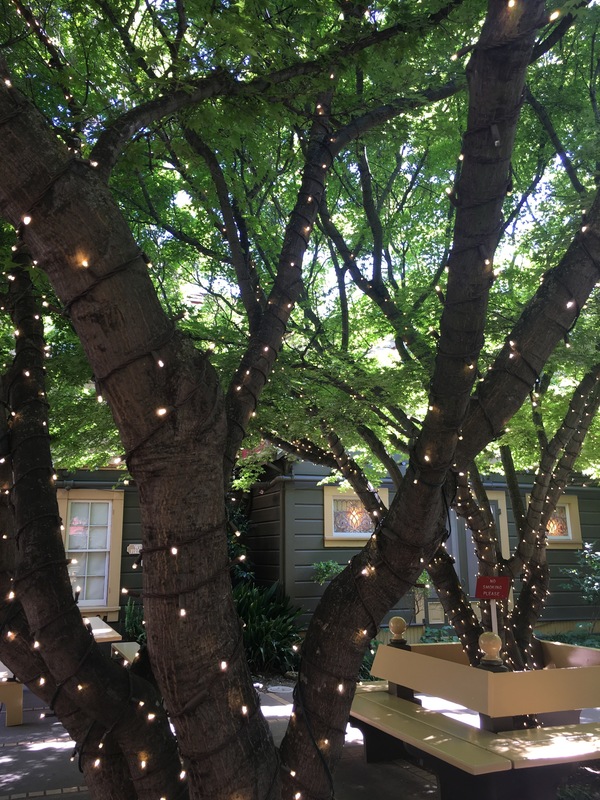 You can start your tour in a cute courtyard that contains a museum of firearms, a shooting gallery, a gift shop, and cafe. Here you will also find an entrance to the gardens. Stay in the courtyard area because they will announce when your tour will occur. The estate offers several tours. You could take the Grand Estate tour, which will run 2.5 hours and cost you around $44 dollars. This is a behind the scenes tour where you get to explore areas like the basement and the unfinished ballroom. The Mansion tour will take you about an hour and it’s the one I took. After that, there are two specialty tours depending on the time of year. The first is the Halloween candlelight tour, which runs on select dates in September and October, talk about creepy! Want to dial the creep factor up another notch, visit the museum on a Friday the 13th Flashlight tour, the next one will be held on April 13, 2018. Note that there are no pictures or video allowed on the tour. I was able to snap a photo before a was told, and I did sneak a photo from the roof. I was there on a Thursday afternoon. Our guide was a lovely lady who kept commenting on her height, which coincidentally was the same as Mrs. Winchester’s, 4’10”. Mrs. Winchester had a lot of superstitions one of which was with the number 13, it was her favorite number. Rooms had to have 13 windows. The house has 13 bathrooms and spooky enough our tour including the guide contained 13 people. In order for Mrs. Winchester could commune with the spirits, there is a séance room. Walking around the house can be confusing. There are tons of twists and turns, doors leading to nowhere, and stairs leading into the ceiling. 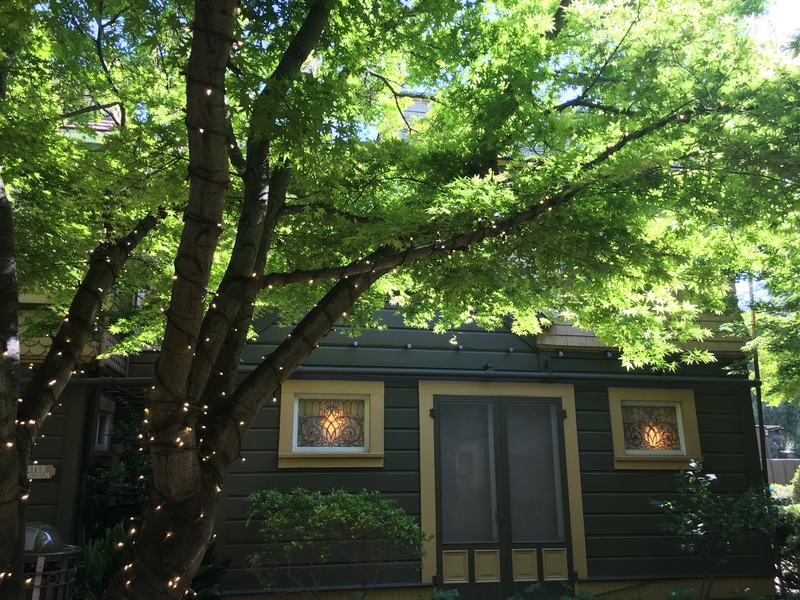 There are some amazing Tiffany windows throughout the house, many of them were designed for Sarah Winchester herself. Unfortunately, none of the original furniture is in the house. It was all left to Mrs. Winchester’s favorite niece Marian “Daisy” Marriott who ended up selling most of it. It is said that it took 6 days to move all of the furniture out. The house itself is very bright and open, due in part to all of the windows. Not only are there regular windows which bring light into the house but there are interior windows as well, which allowed Mrs. Winchester to spy on her staff. It is a beautiful Victorian house with a fantastic story. Such a great story in fact that there is a movie being made about it and it will be coming out in 2018 featuring Helen Mirren as Sarah Winchester. 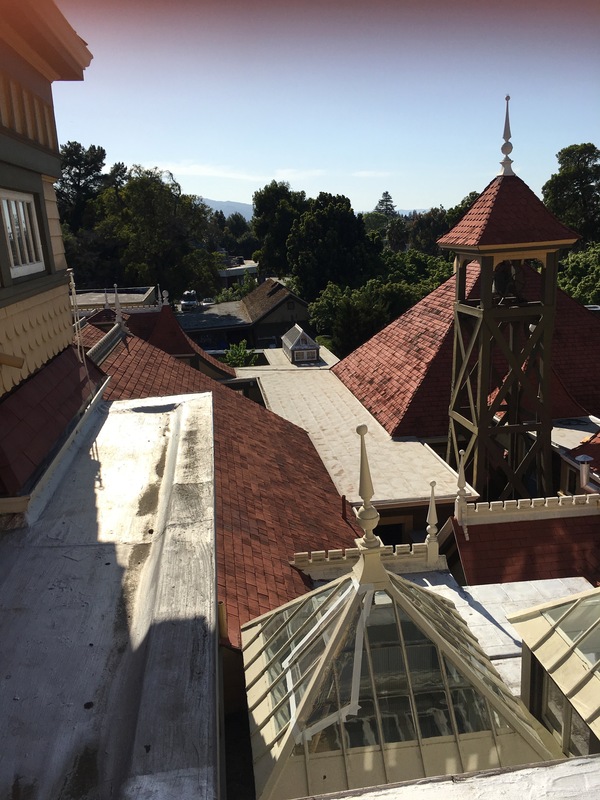 If you are in the San Jose area and love a good mystery I highly recommend the Winchester Mystery house and draw your own conclusions. Was Mrs. Winchester crazy or did she really see ghosts? Until next time. It’s really cool! You could make a weekend out of it with San Fran and San Jose!